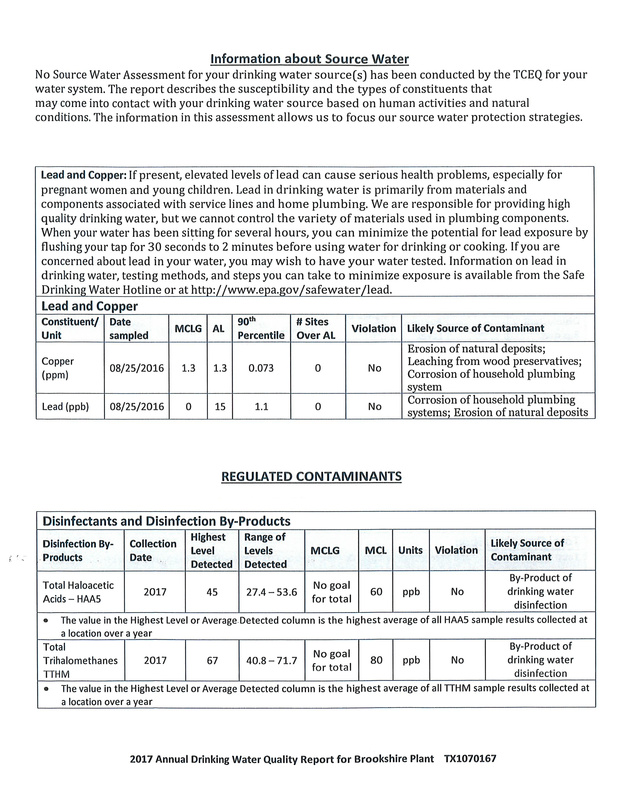 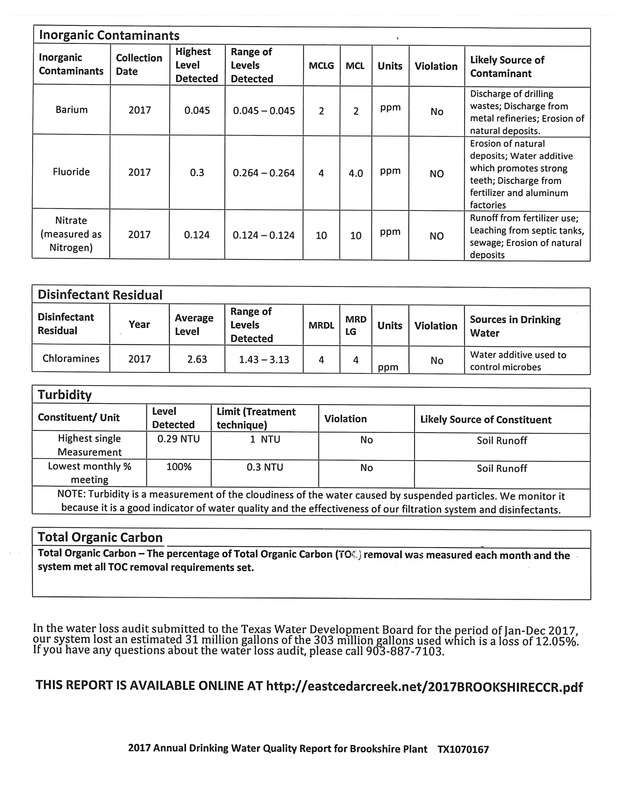 East Cedar Creek F. W. S. D.
This Report is for customers who live on the Northside of the District on the Brookshire Plant. 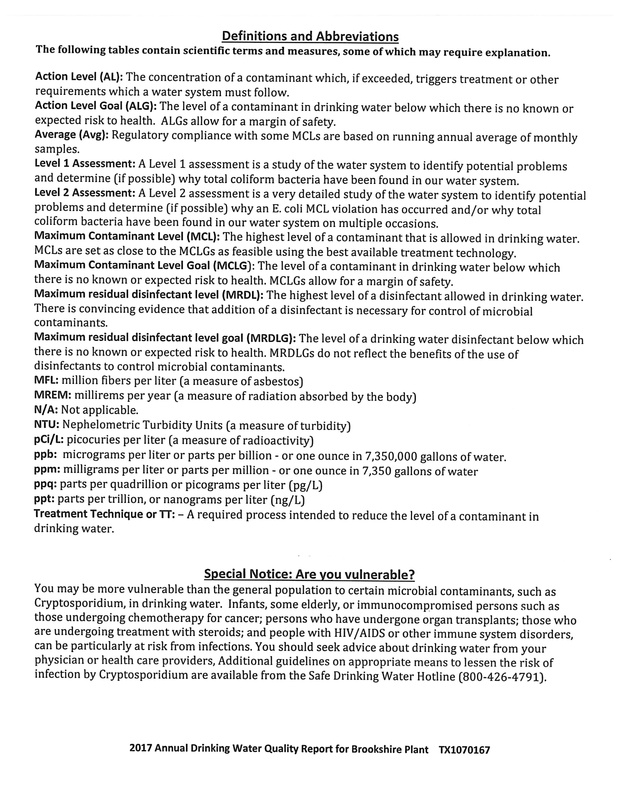 See the "SERVICE AREA" page to see if your water comes from the Northside Brookshire Plant. 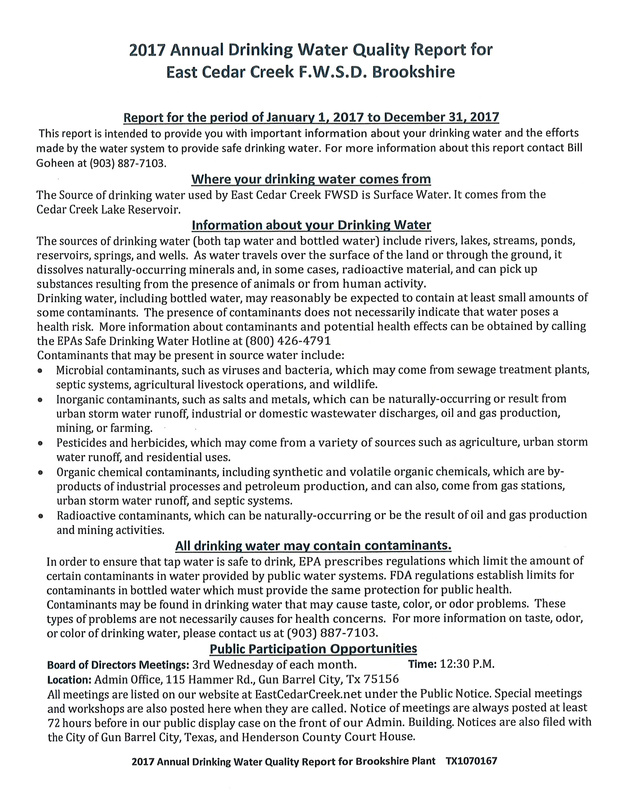 To see prior years of Drinking Water Reports go to the bottom of this page.